Makes sense to me…keeping it separate to assure insulation from those it may affect and therefore they’d interfere with it. So McCabe from DOJ signs off on the Counterintelligence arm of the inquiry…keeping it separate. Good catch @Pet_Proletariat and I like Matthew Miller. McCabe was Deputy Director of the FBI and became acting Director of the FBI when Comey was fired. Rosenstein was from the DOJ. I am probably confused but I was thinking that ultimately someone from DOJ (at Sessions level, and includes FBI and all special counsel. Judicial etc) needed to sign off on Counterinteligence operations…and maybe it WAS MCCabe FBI who could do that from within. It’s unclear. We know this would have authorized by McCabe in his acting capacity as the Director of the FBI. We also know that it was Rosenstein who instated Robert Mueller as the Special Prosecutor. We don’t know how these two events happened in the same week and what transpired to make this happen. Listen to this episode of On Topic, at about 19:00 minutes in, they talk about how Rosenstein would have tossed this counterintelligence investigation oversight like a hot potato directly to Mueller and FBI. 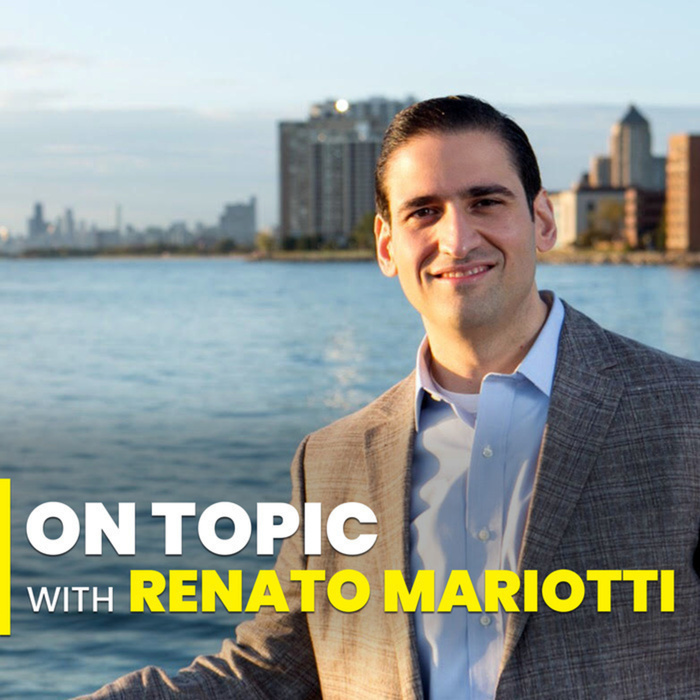 Renato and Patti discuss the recent news that the FBI opened a counterintelligence investigation to determine if Trump was compromised by Russia and whether he was working for Russia to advance their interests ahead of our own. They are joined by former FBI counterintelligence agent Asha Rangappa and former CIA officer John Sipher, who ran the CIA’s Russia’s operations. These guys have way more insight than I could ever provide. Nunes is back in the spotlight – and not in a good way for him. The Special Counsel’s Office and federal prosecutors in Manhattan are scrutinizing a meeting involving former House Intelligence Committee Chairman Devin Nunes, one-time National Security Adviser Michael Flynn, and dozens of foreign officials, according to three sources familiar with the investigations. The breakfast event, which was first reported by The Daily Sabah, a pro-government Turkish paper, took place at 8:30 a.m. at the Trump International Hotel in Washington, D.C. on Jan. 18, 2017—days before President Donald Trump’s inauguration. About 60 people were invited, including diplomats from governments around the world, according to those same sources. Now Nunes—a key figure behind the right-wing counter narrative that Trump is at the mercy of a “Deep State” conspiracy—finds at least one meeting that he himself attended under the special counsel’s scrutiny. The breakfast gathering took place the night after the Global Chairman’s Dinner—one of the inauguration’s most exclusive events, set up so the incoming president can meet the foreign diplomatic corps. Some of those who attended the dinner also attended the Trump Hotel breakfast, two individuals with direct knowledge of the events told The Daily Beast. Country officials invited to the breakfast included Saudi Arabia, United Arab Emirates, Israel, Lithuania, Estonia, Denmark, Japan, Angola and others. Former Kazakh Ambassador Kairat Umarov attended the breakfast, as did two senior Qatari officials. Pluvious Group, a consultancy that raised money for the Republican National Committee and the Trump campaign, helped with the event’s organization, according to two sources with knowledge of the breakfast. The group did not immediately respond to a request for comment. The article continues with an excellent recap of Nunes’ suspicious activities, first on Trump’s Transition Team and then on the House Intelligence Committee – worth a read. Special counsel Robert Mueller's work does not appear to be done yet. Special counsel Robert Mueller’s work does not appear to be done yet. 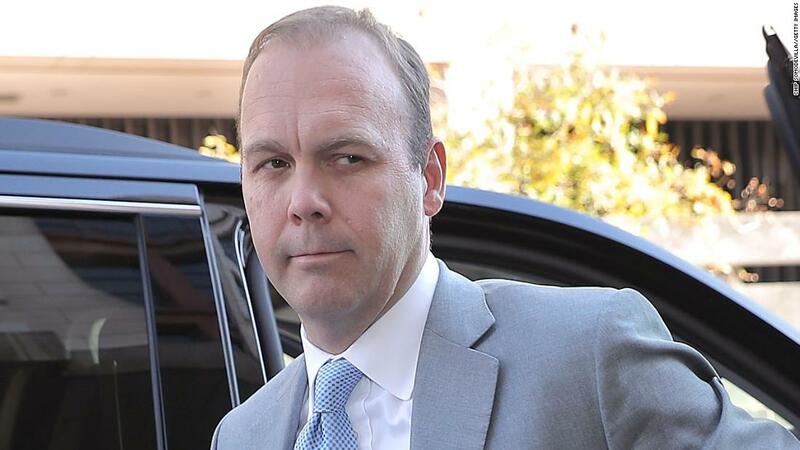 Mueller’s team and defense attorneys for former Trump campaign official Rick Gates updated the judge presiding over his case Tuesday, and yet again, Mueller is not ready to put his sentencing in motion. Gates “continues to cooperate with respect to several ongoing investigations, and accordingly the parties do not believe it is appropriate to commence the sentencing process at this time,” attorneys from both Gates’ legal team and special counsel’s office said in a one-page statement for the judge. The lawyers involved asked for their next update to come in two months. This new development adds weight to the argument that Mueller is not ready to “wrap up” his investigation – and makes the confirmation of a new AG who will protect Mueller even more crucial. Robert Mueller’s focus on the activities of former Trump campaign adviser Roger Stone has zeroed in on at least three new witnesses associated with Jerome Corsi. Special counsel Robert Mueller has zeroed in on at least three new witnesses associated with a conservative commentator connected to former Trump campaign adviser Roger Stone, signaling that investigators remain focused on the activities of Stone and his associates despite the continued public silence on a matter long thought to be close to resolution. 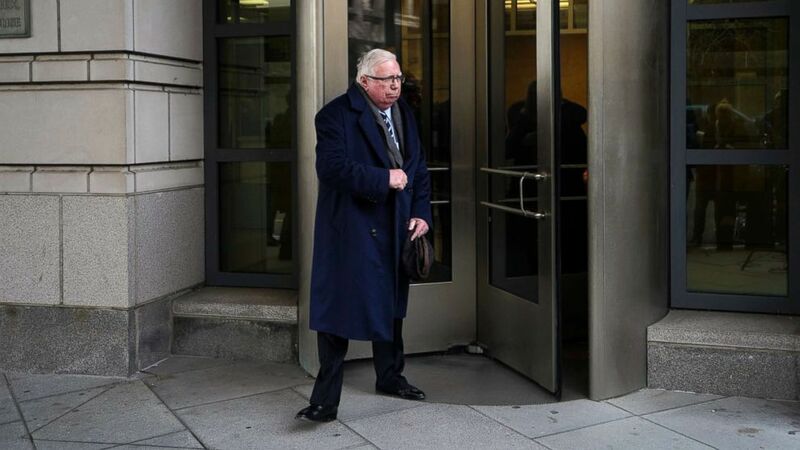 ABC News has learned that at least three new witnesses connected to Stone associate Jerome Corsi – the former Washington, D.C., bureau chief for the far-right internet site Infowars – have been subpoenaed to testify before a federal grand jury hearing testimony on the investigation into Russian interference in the 2016 election. Copies of those subpoenas delivered to two individuals late last year bear Mueller’s name and call for the retention and producing of documents, communication logs and other records involving two people: Corsi and Stone. The two individuals, whose names have not been publicly released, also testified before Mueller’s grand jury in December, according to the subpoenas and three sources who confirmed their attendance. This week Corsi made public the identity of a third witness, who was served a subpoena last Friday – Corsi’s stepson Andrew Stettner, who is scheduled to testify before the grand jury this Friday. When reached by ABC News, Stettner’s lawyer David Gray, who also represents Corsi, declined to comment on the matter. Special counsel Robert Mueller filed court document Tuesday afternoon outlining the underlying evidence to support its claims that Paul Manafort lied. 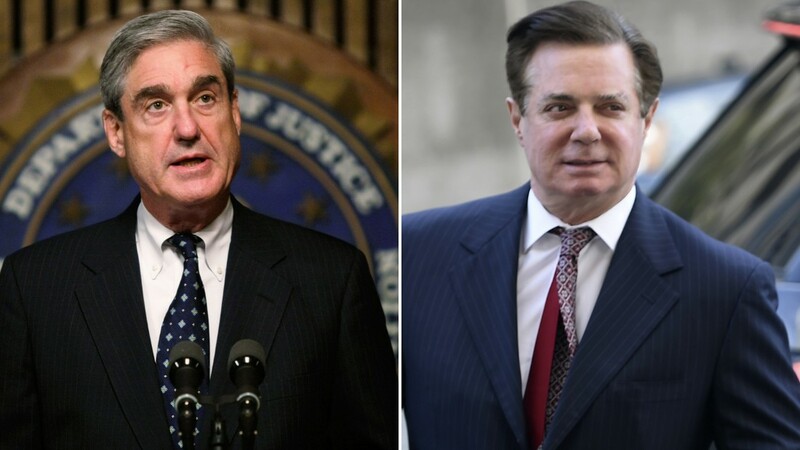 Special counsel Robert Mueller has filed a heavily-redacted court document Tuesday afternoon outlining the underlying evidence to support its claims that Paul Manafort, the president’s onetime campaign chairman, lied to federal investigators. The 31-page court filing is penned by Jeffrey Weiland, a special agent with the FBI. Special counsel prosecutors, tasked with probing Russian interference in the 2016 campaign, accused Manafort in November of lying to federal investigators, marking the end of a short-lived plea deal struck just before the start of a trial in Washington, DC. 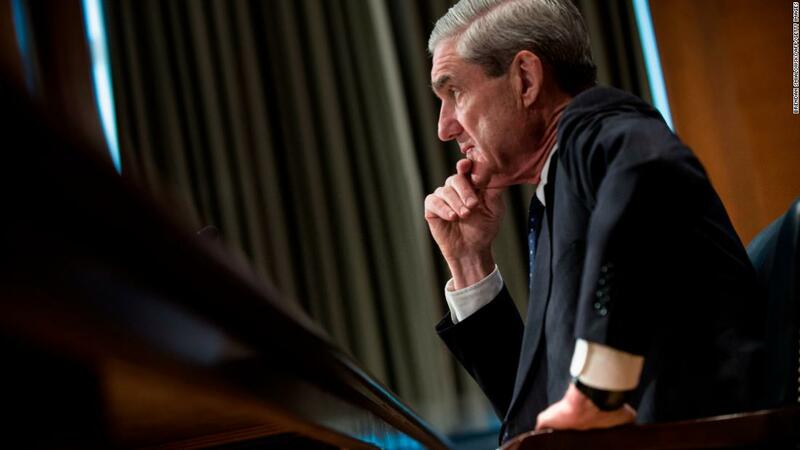 A 31-page filing from special counsel Robert Mueller Tuesday gives an unprecedented window into his work with the grand jury, which is typically secret. The special counsel kept more details about the meeting secret in its Tuesday filing, such as what the in-person meeting was about and when it took place. An accompanying document with about 70 exhibits is also mostly redacted. Mueller’s team has been redacting information in its recent court filings to protect other individuals and to keep secret its ongoing investigations, of which there are multiple still in the works. But the special counsel has not redacted Kilimnik’s name. Mueller also revealed Tuesday that Manafort communicated with Kilimnik beginning on August 2, 2016. 1): Manafort lied (to Manafort/Grand Jury) about a $125,000 payment made, then calling it a loan etc., calling it incorrect due to a banking error, etc. Manafort lied through his teeth over and over again – otherwise, Mueller wouldn’t need 157 pages to detail those lies. I have a gut feeling that Mueller has air tight evidence of crimes committed by Donald Trump – whether those crimes be collusion with Russia, obstruction of justice, tax evasion, money laundering, or any number of other criminal acts. Why? Just look at this astounding mountain of evidence Mueller has unearthed on Manafort – it consists entirely (at least the portions we can see) of irrefutable documents (it’s not witness testimony, news reports, etc. that are more easily contested in court). And there is a remarkable array of documents: emails, text messages, bank records, money transfer receipts, promissory notes, etc. There’s every reason to believe that Mueller has been just as thorough when investigating the Trump organization, Trump campaign, Trump transition team, Trump inauguration committee, and Trump personally. I suspect that if Trump jotted down proof of one of his crimes on a cocktail napkin, Mueller has that. Nick Ackerman, believes that even if Mueller’s summary report will be prevented from being seen by William Barr that there are many ways in which the evidence could be found out. Because Barr was a bit obtuse on his discussion on what he could and could not release, and dependent upon whether the president is indicted. Barr would not have to release any negative information on the President. Ackerman says that "Grand Jury info can not be disclosed, via Barr as it requires a federal judge to do that. " and therefore not contingent on Bill Barr. Thanks for this – skimming through it was a real education. I was referring to the memo Mueller filed yesterday to detail all the lies Manafort told to investigators (thanks @dragonfly9 for the posting). It turns out that the unredacted version of the memo is not just 157 pages, it’s actually over 800 pages!!! We know this because today Manafort’s lawyers filed a motion asking for more time to draft their response – an understandable request since they need to sift through that mountain of lies so they can take a stab at defending the indefensible. This is a big deal because all of those hundreds and hundreds of pages contain documents that Mueller is using in other investigations (hence, the redactions). Just think about that for a minute – how many indictments are going to be precipitated by all that incriminating evidence? Here’s hoping we find out soon. It turns out that the unredacted version of the memo is not just 157 pages, it’s actually over 800 pages !!! Wow! 800 pages! That’s a Tolstoy length volume of crime exhibits— Anna Karenina was 864 pages. McDonnell and Graham are on the take according to this article from the Dallas Morning Star. Let’s not forget that Giuliani has his own ties to oligarchs who have become persons of interest in the Mueller investigation. The special counsel is investigating where Pavel Fuks and other foreign nationals funneled money to Trump's inaugural committee. A Russian Ukrainian mogul who has drawn scrutiny from special counsel Robert Mueller has a business connection to one of the lead lawyers representing Donald Trump in the Russia investigation: former New York Mayor Rudy Giuliani. Giuliani told Mother Jones that Pavel Fuks, an oil and real estate magnate, hired his security firm, Giuliani Security & Safety, in 2017 to advise Kharkiv, a city of 1.4 million in Ukraine. “He was [a] sponsor of a preliminary study that my firm did of security and emergency management in Kharkiv and some on advice on a planned Holocaust Memorial,” Giuliani said in a text message. However, a Ukrainian magazine, Novoye Vremya, reported last year that Fuks said he retained Giuliani to “create a U.S. office for supporting investment in” Kharkiv. When asked about Fuks’ claim, Giuliani said, “I have no knowledge of that.” He said he did not do any work in the United States for Fuks or Kharkiv. In November 2017, Giuliani traveled to Kharkiv, located near the Russian border in eastern Ukraine, in connection with the work. That year, he was also photographed with Fuks in New York. But the former mayor minimized their connection, saying that his personal involvement in the project ended in December 2017 and that his firm has no continuing relationship with Fuks. Giuliani’s work in Ukraine is notable because Fuks and other prominent Ukrainians have recently emerged as figures in the Trump-Russia scandal. The New York Times reported last week that Fuks is among a dozen Ukrainian businessmen and political officials who attended Trump’s inauguration. During their time in Washington, DC, some of the Ukrainians arranged meetings with Republicans and Trump allies to promote peace plans regarding the Russia-Ukraine conflict that were aligned with the Kremlin’s interests. The presence of the Ukrainians, including Fuks, at exclusive inaugural confabs has drawn Mueller’s interest. Tickets to many of these events required donations of tens of thousands of dollars to the inaugural committee, which could not legally accept foreign money. Mueller is reportedly investigating whether Americans helped Ukrainians and other foreign nationals funnel donations to the inaugural committee and to a political action committee run by Trump allies. Peter Carr, a Mueller spokesman, declined to comment. Thx. @Keaton_James - always good to see where allegiances lie. Giuliani is playing it from all sides…but the fact that he goes and gets business with them is evidence enough…they are a cash cow, and worth protecting. Friday Jan 25th…is the day Manafort will be in court to discuss his cooperation efforts with the Mueller team. Initially did not want to show up for the hearing, but the Judge insisted that he does…and Manafort asked the court if he could wear a suit and not the orange prison garb. Manafort has not been seen publicly since October, when he entered a hearing in a wheelchair because he was suffering from gout. He argued the transportation from Alexandria, Virginia’s jail to Washington, DC’s federal courthouse is too time-consuming. Jackson said Manafort has skipped too many court hearings in his criminal case and that Friday’s is a particularly important one for him to attend. At that hearing, Jackson plans to discuss how prosecutors allege Manafort broke his plea agreement by lying during cooperation interviews and while he gave grand jury testimony. "Given the number of court appearances defendant has been permitted to waive, the significance of the issues at stake, and the fact that his being available to consult with counsel may reduce the likelihood that the defense position with respect to the issues discussed will change after the hearing, defendant’s motion is denied," Jackson wrote in the order Wednesday. Earlier this month, special counsel Robert Mueller said Manafort had lied about topics including "contact with administration officials." 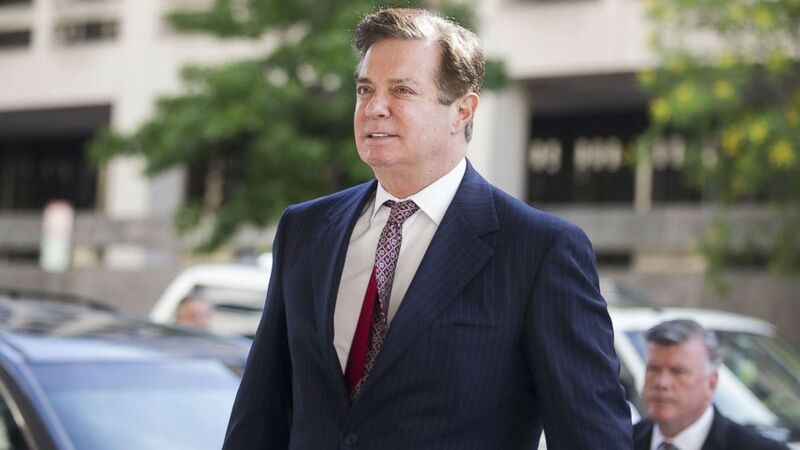 Judge Amy Berman Jackson has ordered that former Donald Trump campaign chairman Paul Manafort must be in court for a major hearing about cooperation with investigators Friday, following his request that he waive attending the proceedings. Here’s a primer on how Grand Juries work, even with the government shutdown. There are two ongoing Grand Juries, a group of 12 jurors in each, who are paid a $40 stipend. If they decide what the prosecutors present as valid and correct, they can indict someone. The Grand Juries have done all the deciding on who gets indicted for the SOC - Mueller’s group. Fun Possible Fact - via twitter, someone is mentioning there is a sealed v sealed indictment which posted on January 22nd, which may (!?) mean it is Mueller’s. Court watchers confirmed it… new sealed case (Case 1:19-cr-0018) showed up in the D.C. court today and take that with a grain of salt. Dozens of anonymous jurors in DC and Virginia have been behind Mueller's indictments — and will be central to the investigation's work moving forward. 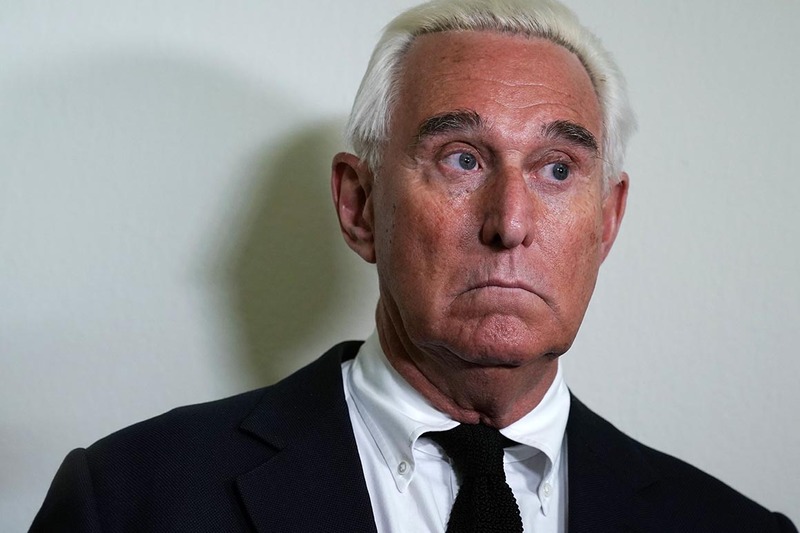 Ding, ding, ding…ROGER STONE arrested this am on 7 charges, false statements, witness tampering…from Mueller’s DC Grand Jury. The Stone indictment marks Mueller’s biggest move yet against a Trump associate on grounds related to the release of stolen emails to sabotage Hillary Clinton’s presidential campaign in 2016. It also reflects a stunning turn for Stone, a GOP operative and prominent Trump cheerleader whose relationship with the president spans nearly 40 years, making him a prime target for investigators to try to turn into a government witness. Grant Smith, one of Stone’s attorneys, told POLITICO that he expects his client to be released after his appearance in court Friday with an arraignment likely next week in Washington. There, Stone plans to enter a not guilty plea. “Roger intends to fight these trumped up baseless charges that have nothing to do with the original intent of the special counsel’s investigation,” Smith said in a brief interview. The longtime Trump associate faces allegations he lied to and obstructed the House Intelligence Committee's Russia investigation.